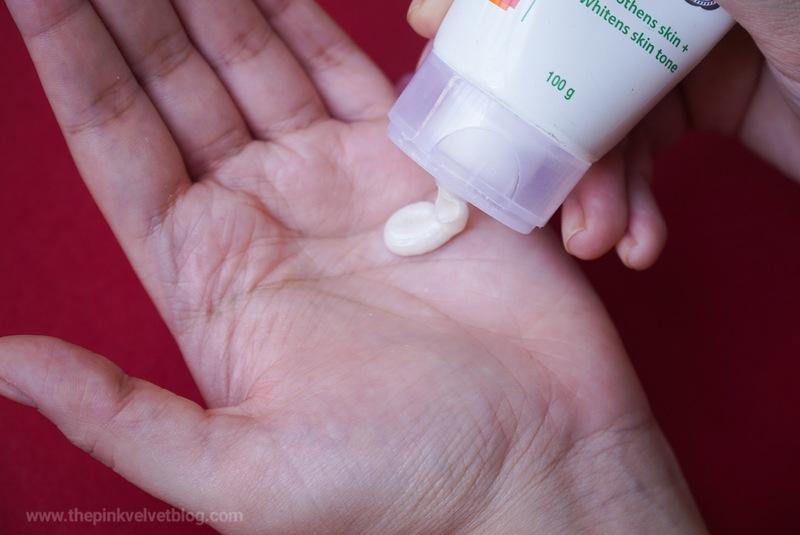 Having Oily, Sensitive and Acne-Prone Skin is really tough to manage. Dirt, pollution, and grease throughout the day make our skin look dull and makes us uncomfortable. At that moment, all we want a face wash which can simply rip off the excess oil and stickiness without leaving a trace of it. That squeaky clean feeling is really satisfying. Isn't it? 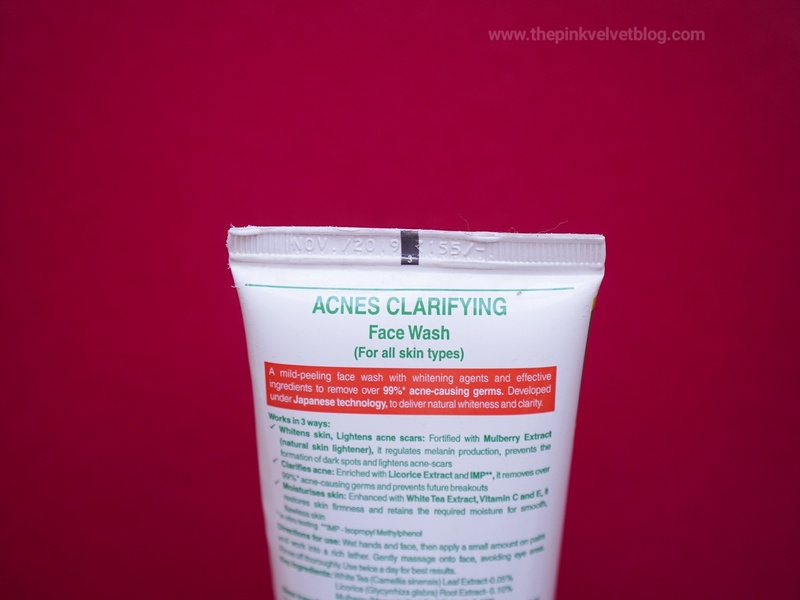 In today's post, I am sharing my experience on ACNES Clarifying Face Wash. Let us get into the details. ACNES Clarifying Face Wash is a daily face wash with a mild peeling effect suitable for all skin types. Its gentle action on the skin provides light exfoliation, polishes the skin surface to look fairer and refines its texture for visible smoothness. It forms a rich lather that washes away dirt and oil without stripping off skin's natural moisture, giving the skin a brighter look along with a complementary rejuvenating feel. ACNES is Japan's leading Acne Care Brand which aims for healthier, acne-free and glowing skin. ACNES is a Brand of Rohto Pharma which is Japan's Leading Healthcare Company. Packaging: It comes in a squeezable plastic tube with a flip flop cap which is easy to carry in the handbag and is mess free. The nozzle controls the flow of the product and doesn't spill a lot of at a time. Fragrance: The Fragrance has a mixed scent of refreshing and medicated fragrance which feels good. It doesn't feel strong or disturbing and is comfortable to our nose. There are two types of oil-free cleansers. One, which gives you squeaky clean feeling with comfortable dryness which we oily skin people love and second, which leaves a layer of moisture while taking off the dirt and oil. This one gives me a total cleansed feeling with a squeaky clean feeling and touch. Like while washing off, I can literally feel my skin is cleansed. It is a deep cleanser and I feel like it takes off all the dirt, oil, grease like a magnet from my pores. 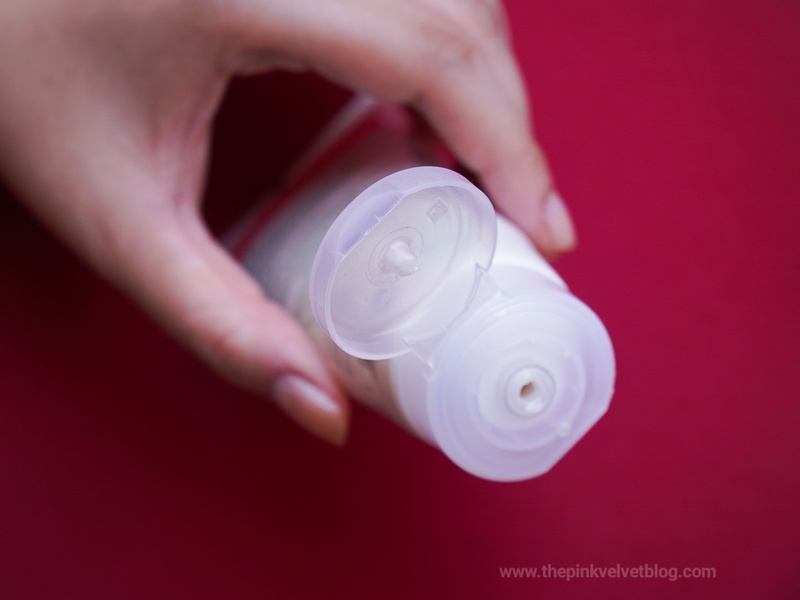 After that sticky and sweaty feeling in summers and humidity, I love that satisfying dryness which this cleanser leaves. I am sure people with excessive oily and sweaty skin can feel this. Along with deep cleansing, it takes away the dullness and brings on the bright fresh face. I guess this is what they meant by the whitening claim. 😃 I don't run behind whitening products but I assume that by whitening, they are focusing on brightening properties. Though that brightness stays for a short time and my skin gets covered back with dirt and sweat during the day. Coming to the effectiveness on pimples, it worked. But this only works on pimples caused by dirt, bacteria or excess oil and not on pimples caused by other reasons such as diet, hormones or when a product doesn't suits or anything. Next, I continue my skincare routine with a toner and paraben-free moisturizer. 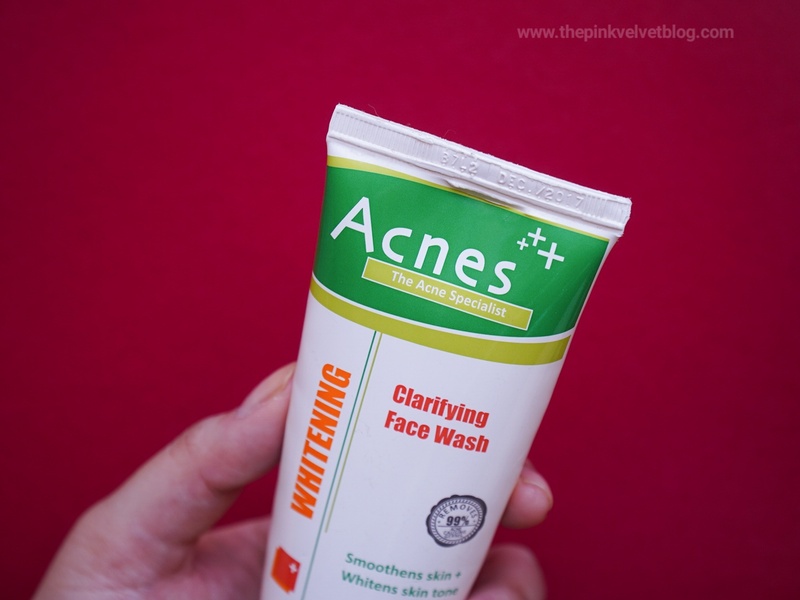 ACNES face wash is good for Oily and Acne-Prone Skin. It is a strong and deep cleansing face wash which takes out all the dirt, oil and sweat like a magnet and brings on the fresh, bright and squeaky clean face. ACNES Face Wash is effective on pimples caused by dirt and bacteria and worked on my acne and marks with noticeable results be it Clarifying Range or Purifying but not much effective on pimples caused by poor diet, hormones or any other reason. 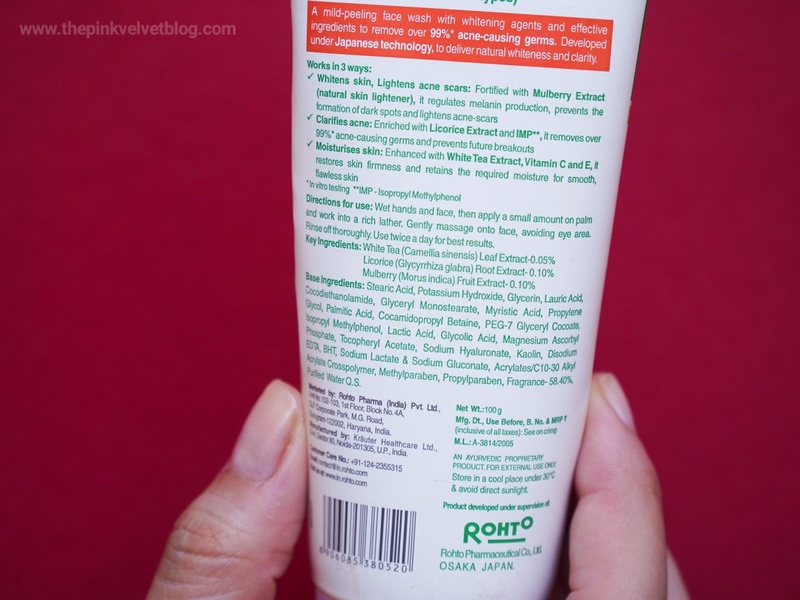 But, it does contains Parabens and might disturb your skin texture.